The City of San Luis Obispo is excited to welcome thousands of visitors to town to participate in the SLO Half Marathon, Relay Races and YogaMusicFest. We had the absolute pleasure of meeting with Race SLO’s Founder and CEO, Samantha Pruitt, to learn more about her fitness journey and her connection to the Central Coast. Learn more about her inspiring story about how she went from a self-proclaimed ex-couch potato to a dedicated endurance coach and Certified Race Director. Q: Tell us about how you were able to make the change from your previous lifestyle and find your passion for health and fitness. A. I was not raised active or healthy, and as a young professional, I lived a high-stress lifestyle. By my late twenties, I was overweight and depressed, finding myself in the middle of a health crisis. Doctors could not diagnose my illness and relegated me to a life of prescription drugs, simply coping with my symptoms. Hardly able to recognize myself to get out of bed and function, I reached my breaking point. I decided to quit my current life, go back to school and study Holistic Health. I discovered nutrition, exercise and stress reduction for the first time ever. Week by week, pound by pound, one habit at a time, I rebuilt my entire body and life. Three years into my lifestyle change I decided to become a Certified Personal Trainer to help others get back their own lives too. I discovered running and signed up for my first 5k race –it was so hard but slowly I progressed. Next, I discovered triathlon. Then I became a Certified Endurance Sports Coach and began exploring my endurance, testing my mindset more each year. By 40 I was doing half marathons and 70.3 Half Ironman triathlons. At 43 I became a 140.6 IronWoman. My body, my mind, and my life continued to evolve as I used endurance to guide me professionally and personally. Over the last 20 years, I have completed well over a hundred races including marathons, triathlons, adventure races, and Ultra Marathons. More recently in the last 11 years, I have been running my own company, RaceSLO. This year as I become #Fierceat50 and reflect on my journey, I am feeling more powerful and inspired than ever to continue my life’s mission of using endurance, outdoor adventure and human connection as the tools for changing my life and those I touch. Q: What inspired you to become a Race Director? And, why did you choose to bring Race SLO to San Luis Obispo? A. I became a Race Director after participating as an athlete, volunteer and coach in countless races. I saw the void San Luis Obispo had for locals and tourists alike to experience my beloved town the way I felt it in my heart while training here. Our athlete, fitness and health community here is really special and deserved to be showcased to the world, along with our first-class trails, roads and training grounds. Q: How has Race SLO evolved over the years? We started with the Central Coast Cancer Challenge trail run and bike ride and 600 attendees. Over the years we have hosted up to 5 events a year and over 30,000 athletes from all over the USA. We have helped raise over $250,000 for local non-profits who share our values and have put San Luis Obispo on the map for endurance sports tourism by creating an annual economic impact of over three million dollars a year from our events. Q: Can you tell us what new things attendees can expect at Race SLO in 2019? A. 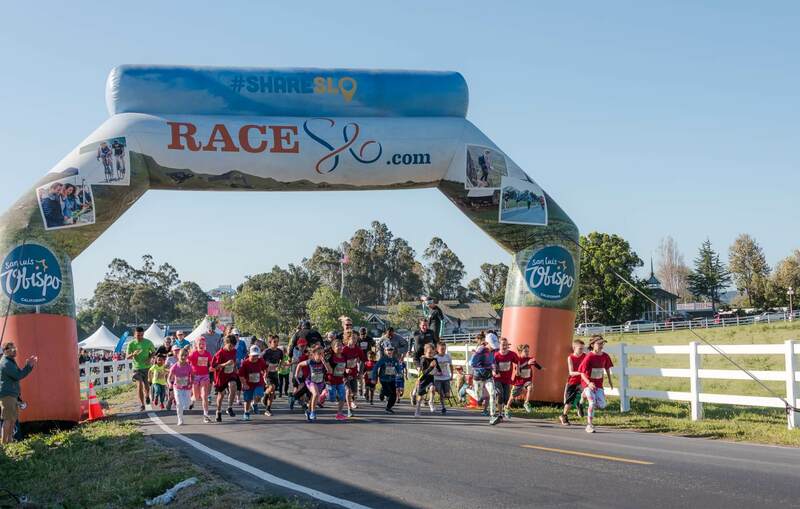 For 2019 we continue to expand our portfolio adding to the Spring SLO Half Marathon Weekend. This includes a 2 PERSON RELAY, Corporate Team Challenge, a new SLO YogaMusic Fest. In the Fall, we will also be adding to our SLO Ultra Trail Race a new SLO County Ultra Games Competition. We will host over 5,000 athletes, 10,000 spectators, 1,500 volunteers, 50 staff and 25 business sponsors partners at our events in 2019. We’ve also created a RaceSLO blog, an Endurance Town USA podcast and a loyal social media fan base all over the country— connecting with us weekly. Q: Do you have any advice for first-time racers who are thinking about participating in Race SLO event for 2019? A. YES! Have fun #1. Plan to make a weekend out of it because there is so much to do while here, don’t be in a rush! Aside from that, I suggest they train on rolling hills and with friends in order to get the most out of their race. We have perfect weather to enjoy our 2 PERSON RELAY option, as well as the 5k and 2 Kids races. Bring the whole squad this spring and come back in the fall for our trail run/hike version! Q: What can runners expect on the course? A. 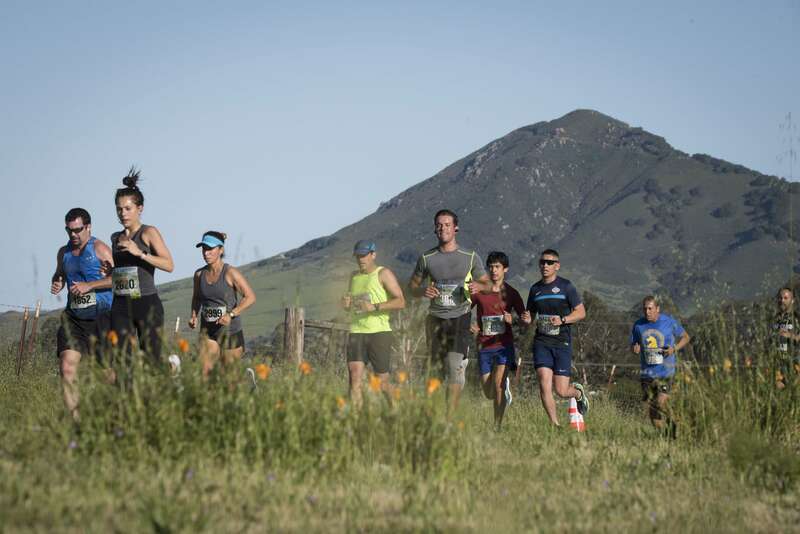 Our course is breathtaking and will take runners through parts of San Luis Obispo’s historic downtown running on closed roads and over the rolling hills into Edna Valley Wine Country. The air quality is amazing and the weather a perfect average 67 degrees for running. Plan to enjoy the entire three-day weekend festival along with signature central coast food, craft beer, and sunshine. Our memorable finish line sits beautifully at the base of the iconic Madonna Mountain and Madonna Inn Meadows. Q: For runners coming into town can you share some of our favorite spots to train, find new gear and fuel up for a race?